King's Hall and Winter Garden bar offers a wide selection of drinks for enjoying before a performance or at the interval. Hospitality packages are available as part of venue hire or weddings at the venue. For more information please go to our Conference and Wedding Venue page. a show, from traditional pub food to brasseries and restaurant. 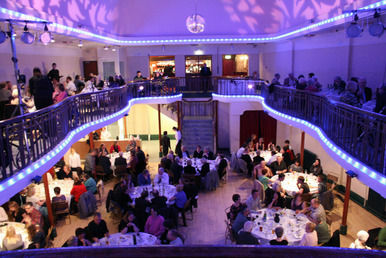 Most of the eateries are within easy walking distance of King's Hall.